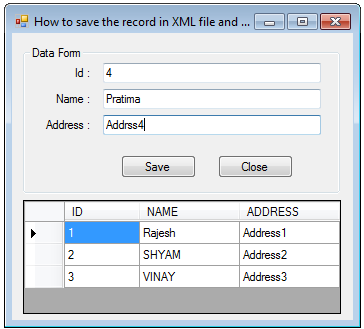 This article will show you how you can save the record in XML file and read xm l to display in datagridview using c#.net in windows application. Some of my previous articles are as follows: How to Add HyperLink and Retrieve Row Value on Link Click in DataGridView #, Windows application, How to Add Button Control and Retrieve Row Value on Button Click in DataGridView Using C#.Net, Windows Application, Splash Screen With Please Wait OR Loading Message in C#.net in Windows Application, Save Panel with Control Inside It as Image C#.net, VB.net in windows application, Confirmation Message on Button Click and Capture YES/NO Click by User in Windows application, C#. So for this article first we will create a new windows application and in this application we will add some controls in it. Now we will add a folder and create an XML file in it. Your form will look as shown below. Now on form code we will add the below code. 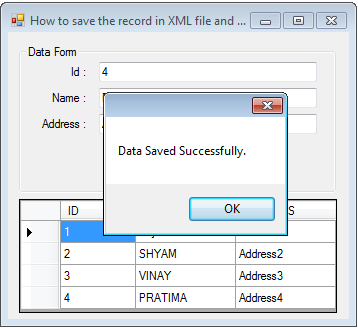 //-- Add one new row in to dataset and set the column data accordingly. 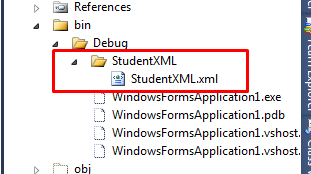 In above code I have created a function in which I have read the xml file and bind it to datagridview. 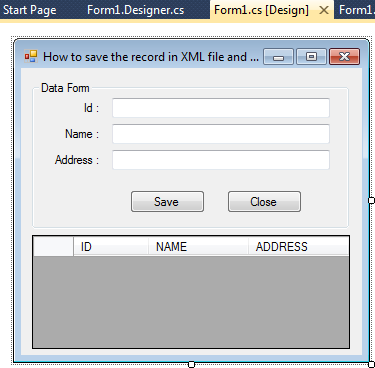 Now on button click event I have first added the stating node and then updated the record and put it in XML file.